We take the stress out of this simple party! 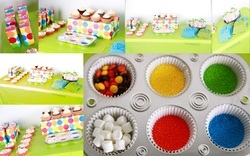 When you order our party kit we will do all the prep work leaving you to just sit back and enjoy the party. 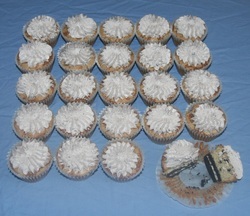 You will receive plan cupcake, colored frosting's, toppings and a take home package for each child. 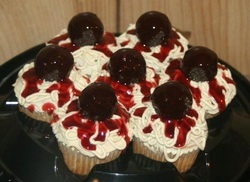 The kids will love making and eating there very own cupcakes. We suggest two per guest so they can eat one at the party and take home one as a party favor. This Oreo Cupcake was filled with an Oreo cookie and Oreo cake then topped of with a homemade Oreo 50/50 Buttercream. Dinner anyone! These fun cupcakes where made for April Fool's Day for a school. This is one dinner that has people coming back for seconds.